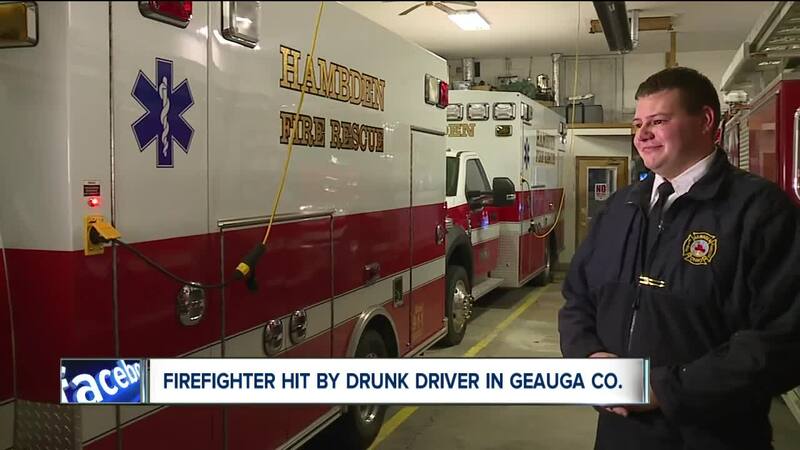 HAMBDEN TOWNSHIP, Ohio — A Hambden firefighter sitting at a redlight on Friday night was rear-ended buy a suspected drunk driver. Lieutenant David Baird with the Hambden Fire Department was hit on Friday night. He suffered minor injuries. The crash happened near Routes 608 and 6. The firefighter was on his way to work when he was struck from behind, authorities said. The force of the impact pushed the firefighter's car through the intersection.